RAPAPORT... 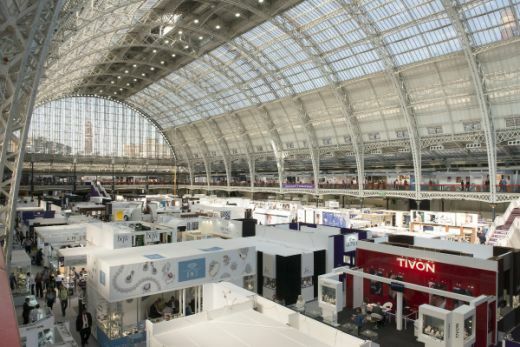 The UK’s National Association of Jewellers (NAJ) is seeking an upgraded status that would enable it to police the industry on issues such as lab-grown diamonds following cuts to public funding. The group is in talks to become a “primary authority,” granting it the right to regulate participating members, thereby freeing up local governments to focus on non-members. The association would be able to issue guidelines that a regional standards agency has approved, and enforce them by ejecting those who fail to comply, Simon Forrester, the NAJ’s CEO, told Rapaport News. The NAJ has partnered with Buckinghamshire and Surrey Trading Standards, a joint regulator for two counties near London. The program will go into force in the near future once the UK’s Department for Business, Energy and Industrial Strategy has signed it off, the NAJ said. The agreement will be effective across the UK, as approval by one regional authority grants authorization on a national level. The move comes amid a lack of clarity on the important topic of lab-grown diamonds, Forrester noted. The US Federal Trade Commission’s (FTC) recent changes to its jewelry guidelines “muddied the waters,” as the organization decided to permit the term “cultured diamond” when qualified by another suitable word, he added. Some UK synthetics suppliers have used the FTC’s new rules as an opportunity to claim that the phrase is acceptable, he reported. The NAJ’s policy allows only the terms “lab-grown” and “synthetic” to describe man-made diamonds, and disallows “cultured,” requiring members to state clearly that stones are not natural. The NAJ’s approved directives will also cover issues such as how companies publicize promotions and discounts. The group is currently in the process of signing jewelers up for the program, and expects most of its 400 retail members to participate.